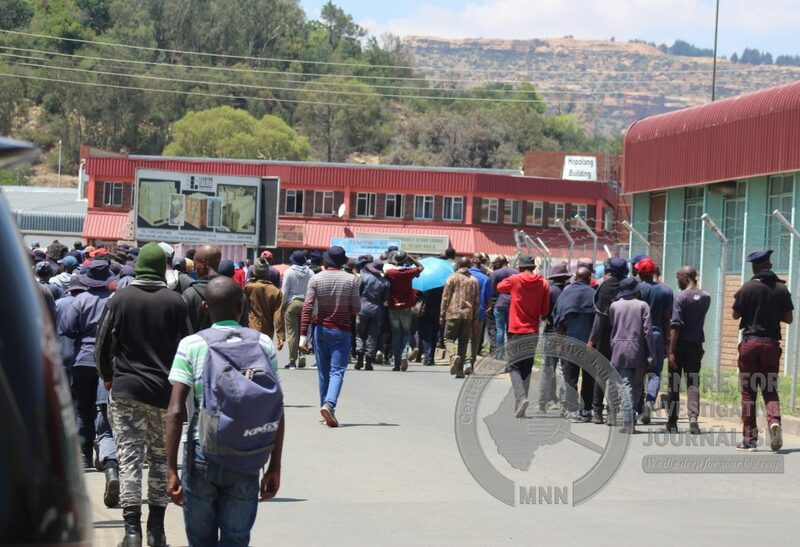 Newly graduated police officers defied orders and marched to offices of their commissioner, Holomo Molibeli contesting alleged torture suffered at Police Training College (PTC) yesterday. MNN Centre for Investigative Journalism has learned the officers who have been inaugurated on November 22, 2018 are undergoing a recourse training for a shooting range administered by the police Special Operations Unit (SOU). As SOU does not have its accommodation, they are still using PTC accommodation where they are also provided with food but no longer recruits under the college instructors. SOU ferries them to their training spot every morning. One of the tortured officers told the Centre that unlike other days, SOU did not show up to collect them yesterday and were told by officers working at PTC to go back to their residents and put off uniform. “We woke up like any other morning; did our chores and wore uniform and waited for SOU officers to take us to the shooting range,” said the officer. “The expectation is that after breakfast, these police officers should go for training that can only be afforded to them by SOU. The only difference with yesterday is that it was supposed to be payday and training was not done,” revealed one insider. Little did they know about the worst day ahead. One of the victims says they were tortured by means of assault and forced to roll up and down while someone was “pointing a loaded firearm at us”. He added they were also subjected to hunger and forced to work on the PTC instructors’ gardens, something which is the responsibility of the recruits as the Centre has learned each instructor is given around four recruits to clean their garden. Meanwhile, another source privy to this issue said some of these police officers in question were “tapped”—in this context it said to be a PTC term for a form of torture from which the victims can suffer severe cough and broken ribs. According to one senior police officer, this is usually done to the recruits which have not gone through the pass-out stage, “right now they are police officers not recruits and were not supposed to be illtreated like that”. The Centre has learned this morning, the officers were told to be on yesterday’s attire and the squad mates could foresee what was coming their way, they gathered together, defied orders and left PTC for Police Headquarters. 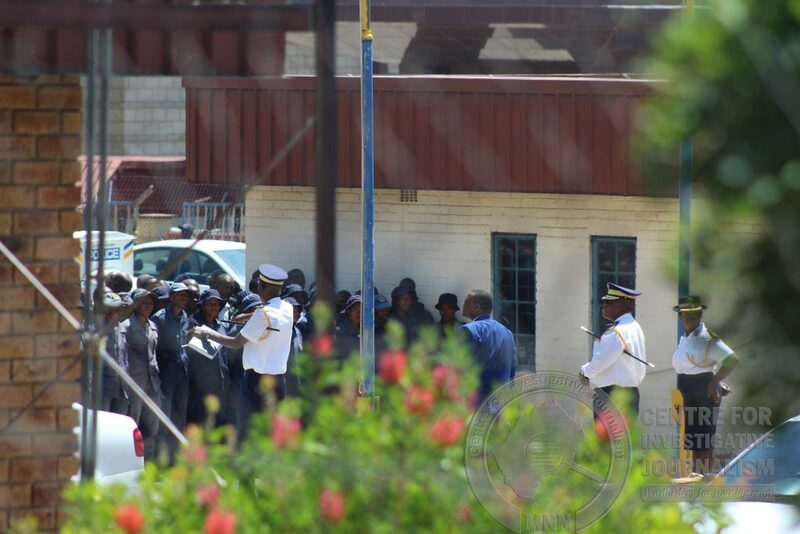 When the Centre arrived at the police headquarters in the morning, many of them sat outside the headquarters premises while other police officers working at the Headquarters could be seen holding a daily parade. They newly recruited 253 police officers are on additional three months recourse training expected to end on February 2019. According to the Commissioner Molibeli as at November 2018, he had requested the Minister of Police ‘Mampho Mokhele to add another three months training as a means of ensuring an in-depth training of the police. “We asked the Honourable Minister of Police for an extension of the training program because we suspected that we had not been doing an in-depth teaching. “We have trained them for nine months and they are going to proceed to the next three months from November 2018 to February 2019. They are not going home,” Molibeli said during police pass out at PTC last year. The Commissioner continued that one of the reasons for the prolonged training was that as police, “we no longer want to see nor hear of police officers being shot by criminals. We are going to extensively train them on firearms to the maximum. They need to be able to protect the public with those guns and themselves”. 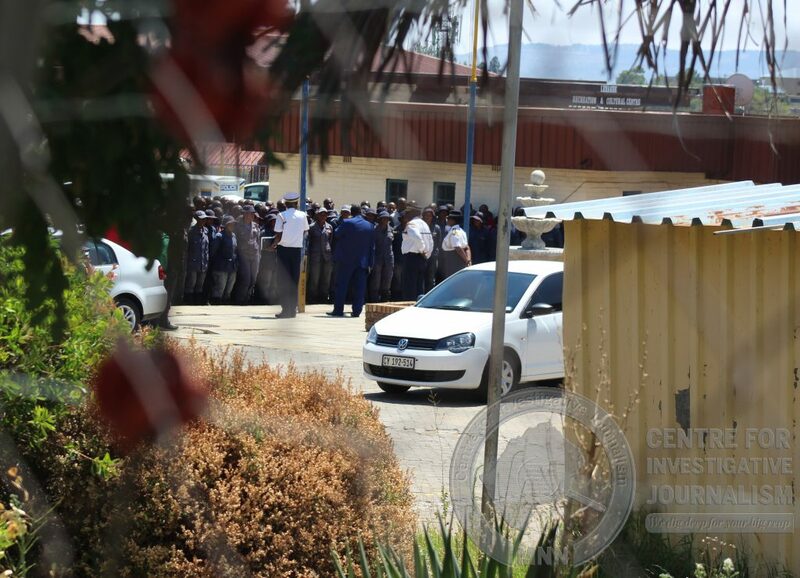 Meanwhile, the Centre has constantly been requesting the position of the LMPS from its Public Relations Officer Superintendent Mpiti Mopeli who told the Centre that “I have not been briefed about anything at the moment but I will try to find out”. However, Commissioner Molibeli said he is yet to investigate the crux of this matter and how the PTC instructors got involved in this manner with inaugurated officers. Discipline in the Discipline Organuzation is instilled in various and many ways..there used to be an in-service training ( aka Assault Course) for abberrant and indisciplined police officers. It was later named Refresher Course which was intended to freshen up officers whose rank-upward-mobility was blurry due to various reasons… to help shape up and become more relevant to deliver policing chores. PTC is renowned to not respect trainees by the conventional ranks..this is to provide enabling invironment and Authority to Instructors to train trainees. (ìrrespective of rank where applicable). Comprehensive lethal weapon training has always not been easy and demands a quick and highly descipline minded person. To train men and women to ignore “pain and suffering” is not an ordinary and easy task to yeild a mature and reliable protector. Mob psychology in the Forces is always questionable and needs to be treated with sensitive approach that is relevant to such trainings. What is efficient and effective is to have speed and accurate persons to protect life and property. However a professional investigation will evetually disclose what transpired.